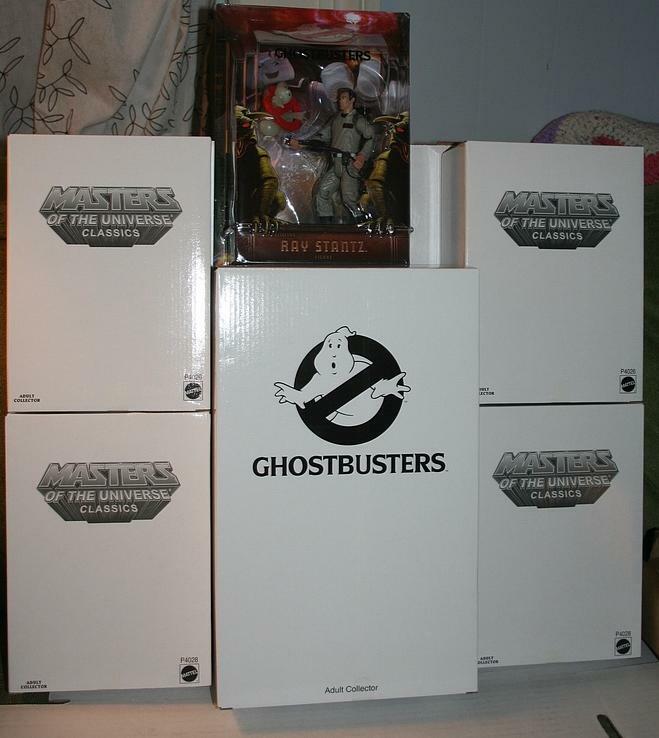 Thanks to the interestingly timed massive product release by mattel on October 15th of figures in both their Masters of the Universe and Ghostbusters collections on mattycollector.com, we had quite the massive shipment today! Sadly the pic obscures much of the great product design due to their shipping safety boxes, but it's still somewhat impressive. Both Teela and Zodak have managed to sell out which is great, but Ray (6" and 12") still are in stock. 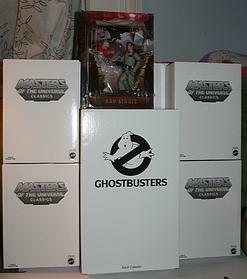 Let's hope they sell out soon as well, to keep the Ghostbusters line going strong! I'll be posting detailed shots of Teela, Zodak and 6"/12" Ray figures soon.